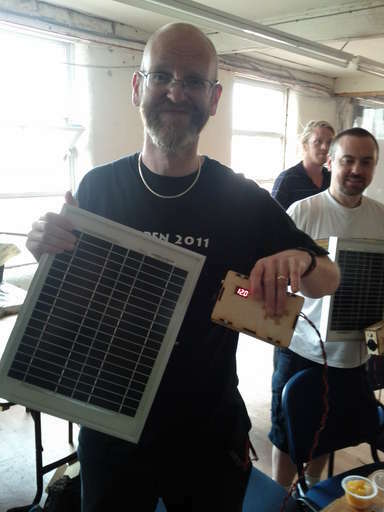 Here are some details on the prototype for the ‘build your own’ solar power system I ran as a workshop at the Nottingham hackspace. I’m pretty pleased with how it looks. 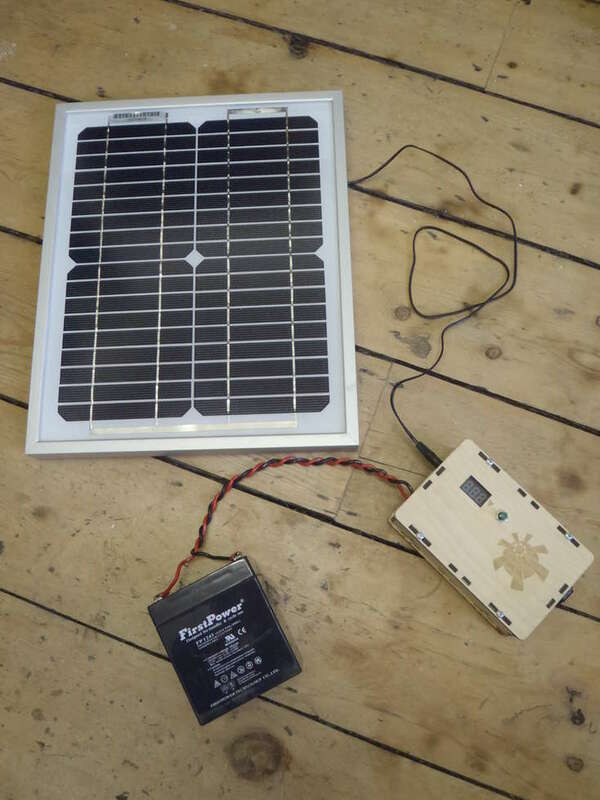 Basically it is a micro solar PV (photovoltaic) system, which includes a 10Wp solar panel, charge regulator and voltmeter, all encased in a laser cut wooden enclosure. This can be used to power small loads such as charging mobile phones, running a small sound system or even charging a laptop. The maximum output is 50W. Here is a link to the Instructable design which has full design details. 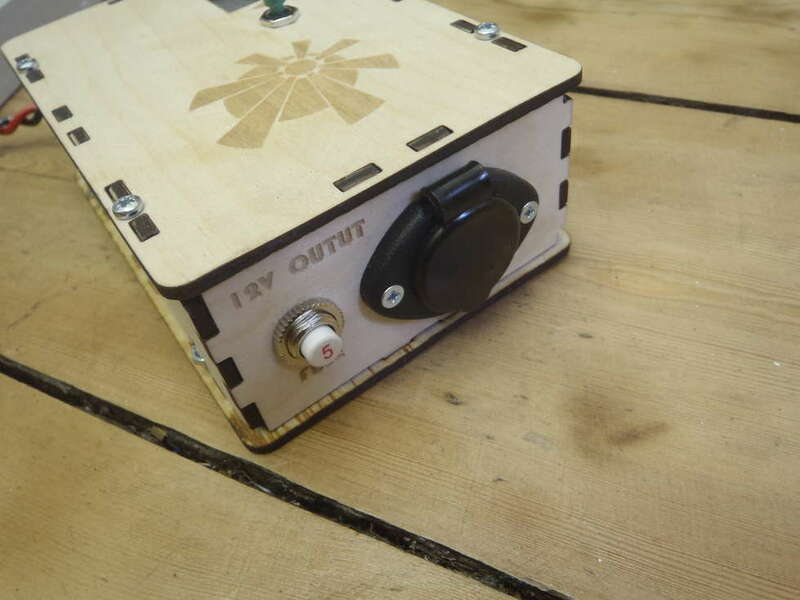 The enclosure is laser cut ply wood with ‘T’ shaped nut holders. 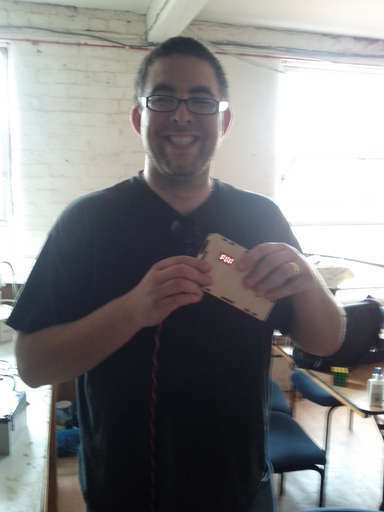 This was prototyped using the laser cutter at Nottingham hackspace. Knowing the battery voltage is very important, hence the unit has an in-built voltmeter. Press the button to check the voltage. 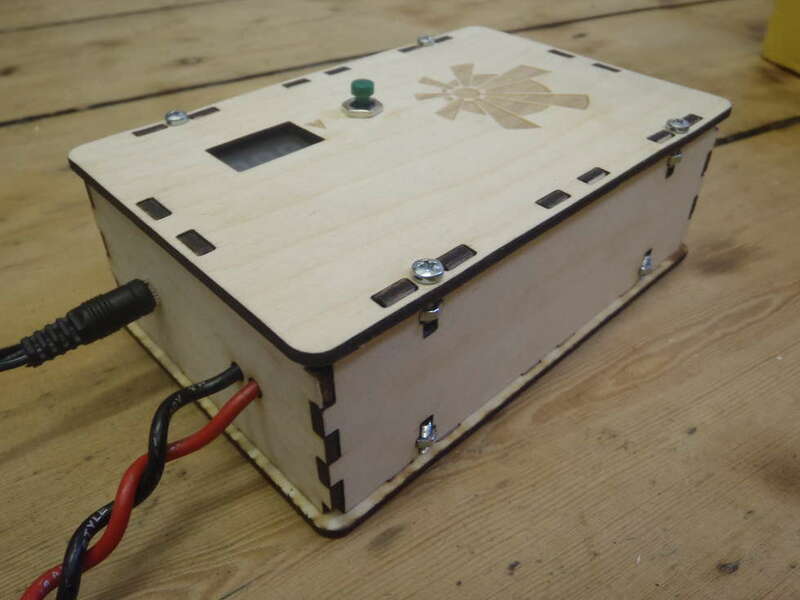 The output is via a 12V ‘cigar lighter’ automotive socket and protected via a 5A fuse. (Yes – I know I have spelt ‘output’ wrong. Its a prototype….). 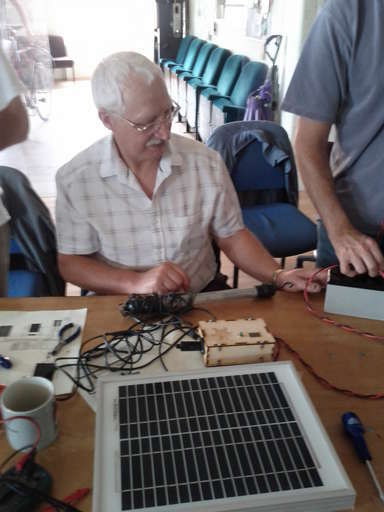 The solar panel is connected via a plug and socket. The enclosure is held with no glue, but can be easily taken apart. 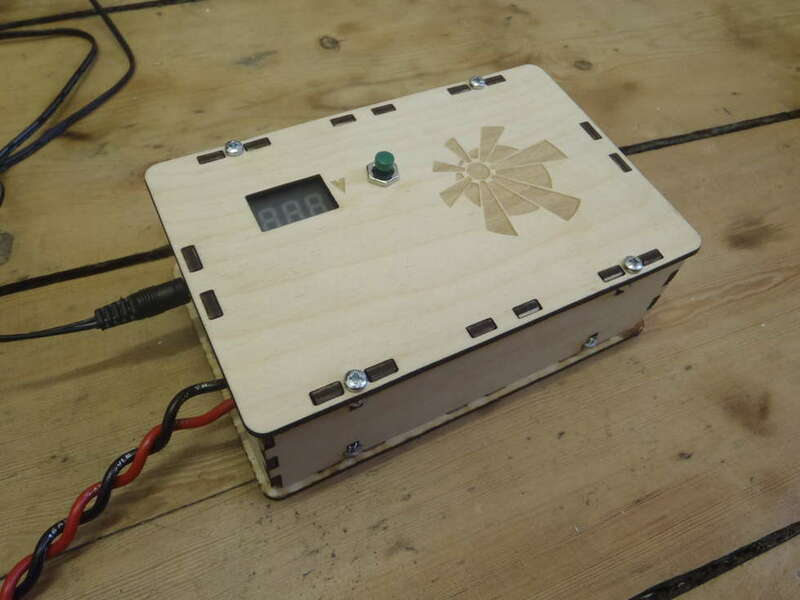 Inside the case is a charge regulator, connection block, voltmeter and switch and fuse and 12V socket. 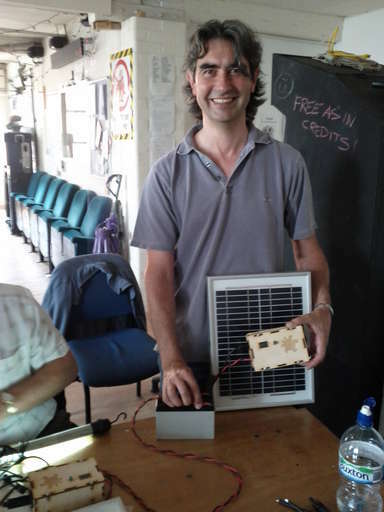 I ran a weekend course on DIY solar power, the first day building one of these off-grid systems and the second day running a ‘DIY solar PV panel’ day (check out the notes I made on building your own solar PV panel here). 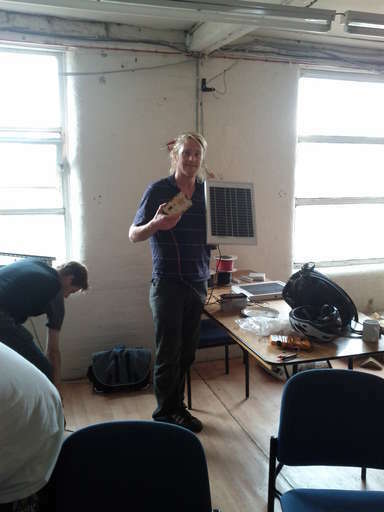 This was run at Nottingham hackspace on 4/5th of August 2012. 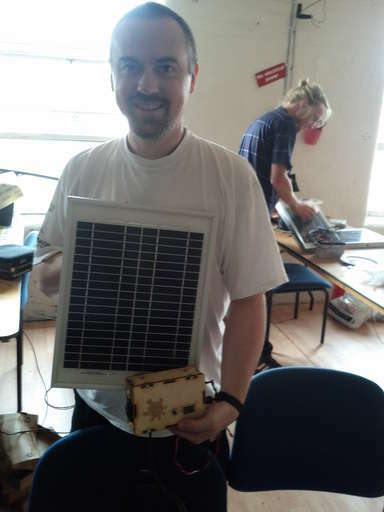 If you are interested in this then I can supply a kit of parts for £70 plus postage and packing (£15 within the UK as its quite heavy-around 3kgs), including solar panel, regulator, connectors and case, but excluding a battery. Please email me if you are interested, or click the paypal link here to buy it now. Edit 30/8/13: This item is out of stock – please email if you are interested. Yep – I agree for large high-voltage grid-connected systems – get it installed by a professional. 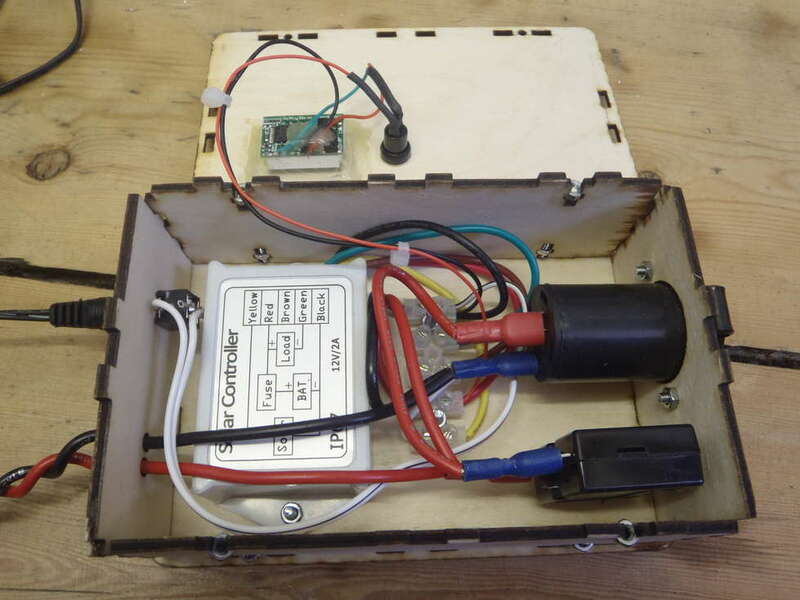 This design is for a small stand-alone power supply system at safe extra low voltage. It is useful to supply a small amount of energy and also as an educational system to learn the basics of solar PV system design.